Every security organization is looking for insight into whether it’s headed in the right direction, but many get distracted by easy outs, like checking off boxes on a list of best practices and mistaking that for true maturity. FAIR Institute Chairman Jack Jones sets a higher standard of maturity: The ability to “cost effectively achieve and maintain an acceptable level of risk” by making well-informed decisions carried out with reliable execution. Jack designed the FAIR Institute’s annual Maturity Benchmark Survey for organizations to measure themselves against that standard. The results are in for the 2018 survey and, though improved from the 2017 survey, the overall rating the respondents (most of them CISOs) gave themselves was 26 out of a possible 100. 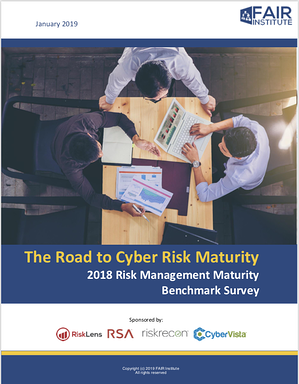 Download The Road to Cyber Risk Maturity: FAIR Institute 2018 Risk Management Maturity Benchmark Survey. Membership in the FAIR Institute's Link Member Resources service required. Join the FAIR Institute now. Watch Jack Jones discuss the survey results in a webinar – scroll down to the bottom of this page. Security executives and analysts looking to evolve their organizations should find plenty of direction by digging into the 13 categories of the Maturity Survey Report, each of which offers specifics on achieving cost effective, well informed and reliable risk management. Survey respondents rated themselves as Strong, Partial or Weak on their capabilities and here’s a small sample of some of the high and low scores. This question about the organization’s willingness to fund the cybersecurity program also drew a relatively confident response. A strong program includes well-documented policies that employees are required to understand. Survey participants were generally positive about their organization’s performance. 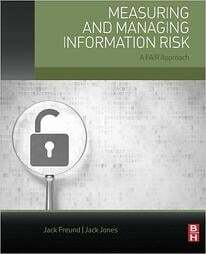 Respondents rated themselves weakest at consistently using a risk model such as FAIR, at supporting decision-making with accurate risk information and defending security objectives. Can security objectives stay high priority against other organizational initiatives? A strong approach holds senior as responsible for security as revenue goals. A strong organization would once a year review its risk management decisions to make sure they are made at the appropriate level of management and also bring in outside, independent reviewers to check that accurate risk management information is being given to decision makers.